Maureen is a former owner of a consulting firm that helped specialty drug companies to develop medications for ultra-rare diseases. 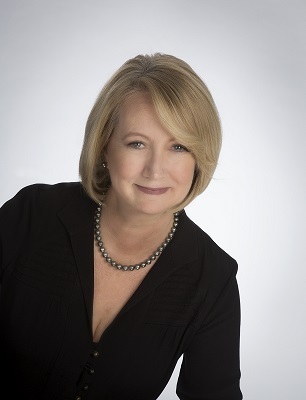 Maureen received her Bachelor’s degree in physiology from Michigan State University and her Master’s degree in Liberal Studies from Wesleyan University. Her background in science and love of the natural world informs and inspires her writing. LITTLE LOVELY THINGS is her debut as a novelist. She is also an award-winning poet, published in diverse outlets such as Emory University’s Lullwater Review and Yankee Magazine. Maureen is a foodie and appreciates interesting recipes. She also enjoys painting (especially flowers and sycamore trees), competing in races with her dragon boat team (Go Fierce)!, and reading (of course). She relishes spending time with her three children, her husband and her pets; a ridiculous terrier named Huckleberry, and a plump orange cat, Pumpkin. 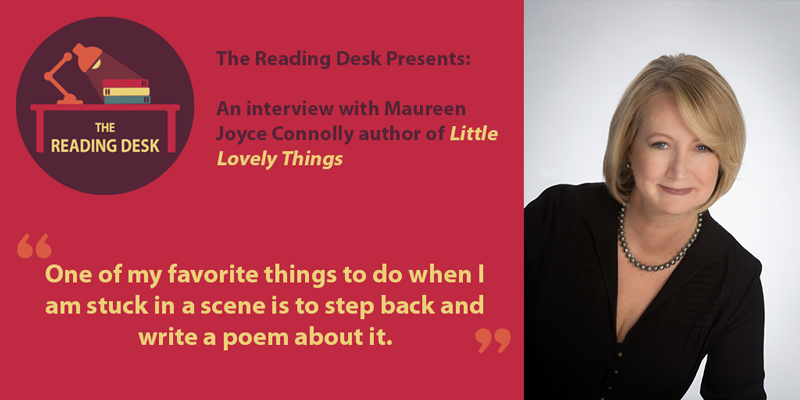 Peter: Maureen, it was a pleasure to get the opportunity of reading your book “Little Lovely Things”. I loved the complex characterisation from the victims and the perpetrators perspective. I am delighted that we have the opportunity to conduct this interview to ask more questions about your novels, plans and your writing experience. Many thanks for making the time available to answer these questions. Peter: Where did the idea come from in creating Little Lovely Things? Maureen: While I truly believe it was a culmination of many things, the main trigger seemed to be that right after I had my third child I encountered many abduction stories in the news as well as in current literature. I felt so very protective of my brood at that time, that my imagination went into over-drive. Characters and scenes began to pop into my head. Peter: You created several wonderfully drawn and complex characters in this novel. Who was your favourite and who was the most challenging to develop, and why? Maureen: I can’t answer that (but I will) – it’s like selecting one of your children as your favorite! Just between you and I – hands down it’s Jay. I even have trouble reading passages from his chapters as I get emotional. He came from a special place in my heart, presented himself almost fully developed, and his tenderness and compassion holds the narrative together. Maureen: Yes and yes. Sometimes I questioned my ability to keep going on with it but I knew that the triumph of the spirit would override the difficult stuff. As far as treading cautiously, not at first. This only occurred when my agent and editor got their hands on it. I tend to be an intense person, so I am glad they suggested I restrain a bit. Peter: How important do you feel it is to research elements that you integrate into your story, such as character traits, police procedures, drug reactions and location? What was interesting to discover in your research for this novel? Maureen: Research is always important. It is essential for maintaining credibility with the reader. I don’t want anything that is avoidable, like a silly error, to breach the special bond formed between the author and the reader, which is true magic. That being said, I allow the research to follow my ideas, not the other way around. I construct what I want to happen and then see how it is actually done. The most interesting aspect of research on LITTLE LOVELY THINGS, and still remains so, is the two amazingly complex and beautiful languages – Shelta and Lakota – that I used in the story. Peter: Do you feel your background in the Biotech and Pharma industry helped in writing this novel? If so how? Maureen: Yes! In so many ways! I understand drugs and their effect on the body, but also, I used to manage projects for small start-ups that developed medications for ultra-rare diseases (which is defined by a patient population of 5,000 or less worldwide). The multi-tasking and time management skills required are off the charts and it is what helped me establish priorities and write consistently. Peter: You are also an award-winning poet. What were the major differences you experienced writing poetry compared to writing a novel? Did you need to adapt your style in any way writing your book? Maureen: I had so much to learn about writing a novel it still makes my head spin! While poems have their own structural components, novels are in many ways so much more complicated. A good sporting analogy would be that poetry requires the skill of a sprinter, while novel-writing is more like training for a marathon, with a lead filled backpack on. One of my favorite things to do when I am stuck in a scene is to step back and write a poem about it. Even though it is never very good, it still helps me see the scene holistically, and visualize the next steps required to make the scene work. Peter: Do you use story boarding or mapping processes to develop your plots and interactions, or do you go with the flow and follow your instinct and gut feeling? Maureen: I am pretty much a panster, but I do sometimes create some type of hand drawn graphics to help when my brain gets cluttered. I absolutely abhor outlines. Peter: Do you use particular software applications or utilities to support your writing activity? For example, Scrivener or Grammarly. Maureen: Ha! I’ve been waiting for this question! I actually use a tool that helped me in my Biotech days. It’s a software program with a professional Gantt chart which offers comprehensive way to manage timelines, events, etc. I can build from a character’s birthday then fill in salient moments in their lives (even if I don’t use this information in the book, I need it in my head). It ends up being quite a sophisticated picture of their lives and how they interact. The cool thing is, if I move one line, the others all fall into place accordingly, so I don’t need to go back and reconstruct. Peter: Are you very disciplined in how you approach each writing day? What is your routine? Maureen: Unfortunately, quite sadly, no. I try to stick to a routine and inevitably fail. So what I’ve done is thrown that intention to the wind and somehow I end up falling into an actual routine without noticing it. The minute I speak about it or try to dissect it, I’m off the wagon again! 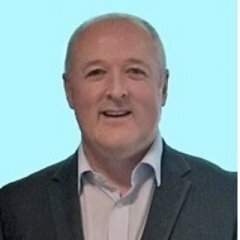 Peter: What are the greatest benefits and restrictions to being a published Author? Maureen: The greatest benefits so far (I’m so new at this!) has to be all the amazing people I’ve met; from within the industry, to ARC readers and bloggers, and other authors – the encouragement has truly been phenomenal. Restrictions are all tied to one thing – I have not really found a way to write at this time. But I know I will figure it out. Once I stop worrying and let a new routine sneak up on me (see previous question) I will be golden! Peter: How involved are you in finalising other aspects of the book, for example the cover design, narration and the promotion of the book? Maureen: Since I have a publisher, Sourcebooks Landmark, they are responsible for all of the above. That being said, we are definitely a team and I work side by side with them on the promotional piece. They develop the strategy and then hand off a piece to me to execute. It’s kind of cool as I love working collaboratively, especially when it’s with truly great people who are invested in the outcome. Peter: How much time do you spend on writing compared to promoting your books? Maureen: Not enough right now. That will change after my launch – April 2. Peter: What authors have you most admired and have had an influence on you? Maureen: Do you know I actually dread this question? There have been so many that I fear leaving so many out! I mean it ranges from Willa Cather and Mark Twain to Alice Sebold and Jacquelyn Mitchard. From Anton Chekov to Elizabeth Strout – I could go on and on. Basically I consider almost all books that have come before mine as my teachers. Peter: What is your favourite book you’ve read over the last 12 months? Maureen: Unfair – don’t want to choose!!!! But I will do it….probably All The Light You Cannot See by Anthony Doerr. I say this because I found his descriptive prose stunning and I think he captured something deeply embedded in all of us – a sense of belonging, a sense of being caught in circumstance, a sense of needing closure, even if it is a bitter pill. Peter: What advice would you give to aspiring or debut authors? Maureen: Don’t show your work too soon!!! Guard it carefully through your first draft (at least). It is still tender at that point and you don’t need someone to misread something or fail to see your vision because the granularity is not yet present. Peter: If you had a dinner party and could invite 3 personalities from any period in history who would they be and why? Maureen: I would probably nab Virginia Woolf so I could tell her how important she has been in empowering women writers, Charles Darwin because he has been one of the greatest influences in my life, and one of the crazy Roman emperors, like Tiberius or Caligula (appearing in chains of course), just to hear what they thought of rational discourse. Peter: Can you give us any insights into any future books or projects that you’re working on? Peter: How can readers learn more about you and your work? Or find me under my name or title on Amazon! Peter: Maureen, I appreciate you taking the time for this interview. If there are other snippets of information you wish to provide, please feel free. I would like to congratulate you on your wonderful book and I wish you massive success for the future. Maureen: Peter, thank you so much. Your questions are lovely and insightful and it was my absolute pleasure to participate.